How would you describe your personality? If you have trouble assessing your own strengths and weaknesses, a personality test may help. Taking a personality test can help you assess your strengths and weaknesses. 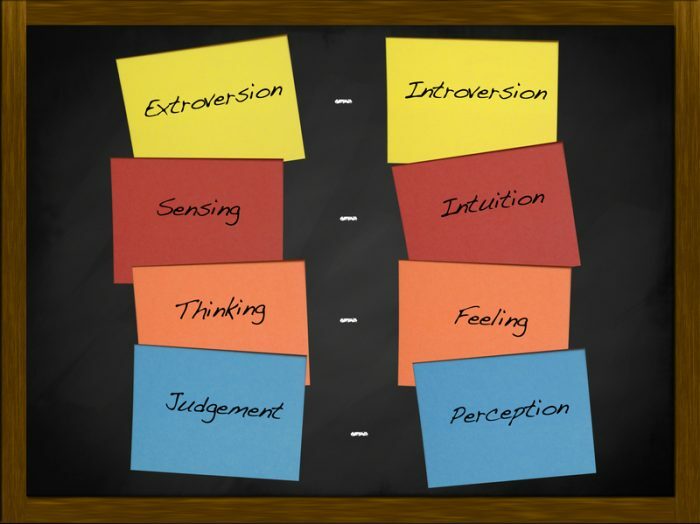 Shown here: the attributes that come into play in identifying the 16 personality types reflected in the Meyers-Briggs Type Indicator (MBTI) testing. In real life, online personality tests can be overblown, and perhaps inconclusive. How can they actually reveal the secret of who you are? Nevertheless, taking one or more of the various personality tests out there can be fun and might even offer useful insights that help guide you through personal and professional challenges. With that in mind, here are three useful personality test examples you can try. According to Martin Seligman PhD, father of the positive psychology movement and author of such books as Authentic Happiness and Flourish, everyone possesses signature character strengths that help us face adversity and contribute to our well-being. These strengths are wide-ranging and may include those shown here. WHAT ARE YOUR SIGNATURE CHARACTER STRENGTHS? This partial list exhibits the type of character strengths pinpointed by author Martin Seligman, PhD. The first step in using your own inner strengths is to identify what they are. Fortunately, Dr. Seligman has made this easy by helping develop the Values in Action Survey of Character Strengths test (click here to view and fill out the test; registration with the site is required). Once you complete the survey, which takes about 15 minutes, it will reveal your five signature strengths and provide a short description of each. According to Dr. Seligman, making a conscious effort to tap into your signature strengths when faced with challenges will maximize your chances of success. New personal projects will naturally revolve around using them. They promote a sense of personal authenticity. You feel excited when you use them. You feel like they will inevitably lead to success. They produce a sense of invigoration, joy, enthusiasm, and even ecstasy. You rapidly improve when using them regularly. You start to feel a yearning to use them more and more. Dr. Seligman suggests writing down how you feel before, during, and after engaging one of your strengths. Helping yourself and others is motivating in and of itself, but using your signature strengths in the process should give you an extra boost, he says. Introversion/extraversion is an indicator of whether you prefer to focus on the outer world or your own inner world. Sensing/intuition is based on whether you like to take information at face value or prefer to interpret and add meaning to it. Thinking/feeling explores how you generally make decisions. Judging/perceiving explores how open you are to the outside world. The MBTI is not about determining what you’re good at or evaluating your character so much as it is about your personal preferences when interacting with the world. By taking this test and learning more about how you prefer to function in life, you might garner some insight into how best to approach personal and professional goals or challenges. While the MBTI focuses on four key personality characteristics to come up with 16 different personality types, many psychologists would today argue that there are actually five key personality attributes. Looking to adopt a more consistently positive attitude? Don’t miss author Alison Palkhivala’s post on the topic: The Power of Positive Thinking. The author also provides tips on understanding and working around the not-so-positive folks around us. See her post How to Deal with Negative People. One personality test that takes all five of these characteristics into account is the International Personality Item Pool (IPIP). The IPIP is geared for professionals, but its developers have produced the IPIP-NEO for use by anyone who is interested in learning a little bit more about himself. Depending on how much time you want to commit to the test, you can choose from both short and long forms of the test online. Both have been used by enough people that experts have been able to scientifically determine that the results are reliable. Taking the IPIP-NEO can give you a sense of whether you derive your energy primarily from interacting with others or through alone time (extraversion), whether you’re typically more cooperative or more aloof (agreeableness), whether you’re reliable and prompt (conscientiousness), how emotionally stable you are (neuroticism), and how open you are to new experiences (openness). As with the Meyers-Briggs, knowing a bit more about where you fit in terms of the Big Five can help with important life goals and personal and professional decision-making. It also might provide insight into why you tend to struggle over and over again in certain areas of your life. Such insights may help you change some of those negative patterns. add, health, health news, how to deal with negative people, personality, report, the power of positive thinking, university health news. I thought you might be interested in this article on https://universityhealthnews.com: Personality Test: Can It Put Focus in Your Life?